Fab and Fun in 3rd! It's officially FALL!! Although it actually feels more like winter here...brrr!! New season, new Stitch Fix box. Look at the cute things I got this time around! I pretty much love it all and it's $140 for all 5 items...not too bad! Let me know what you think! If you are wanting to give Stitch Fix a try, I would love for you to use my referral link! Sadly, summer is coming to an end. To start the new school year, I decided to order a Stitch Fix Box! Check out the cute items that I received! Are you looking for some new outfits to start the school year? I highly recommend trying Stitch Fix! I would love it if you used my referral link :) Click below to sign up for Stitch Fix and to get $25 credit! I am switching schools and grade levels this year, and I'm looking for two 3rd grade teachers that would like to be pen pals with my class and my teaching partner's class. 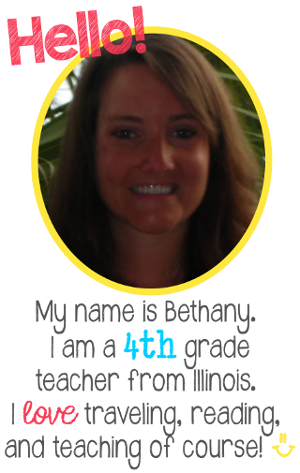 Are there any teachers out there that would like to pair up with two 3rd grade teachers from Illinois?? Calling All 3rd Grade Teachers...HELP! I recently accepted a new job! After 9 years at the same school, I took a job that is much closer to where I live. I will no longer have a 45 minute commute. My commute will be half that now! I am very excited, but I am also very nervous! I will now be teaching 3rd grade. With it being so close to the new school year, I would love any advice you 3rd grade teachers can give me! What is your favorite part of teaching 3rd grade? Do you have any resources that you just can't live without? The TpT sale starts tomorrow....is there anything I need to add to my cart?? 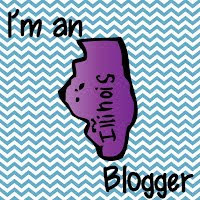 If you are a 3rd grade teacher blogger, I would love it if you left a link to your blog in the comments so I can make sure I follow you! 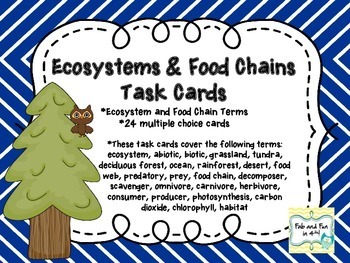 We are just finishing up our science unit on Ecosystems, and I wanted to share some of the resources that I use when teaching this unit. A couple of these are my own resources, but most are from other teachers. 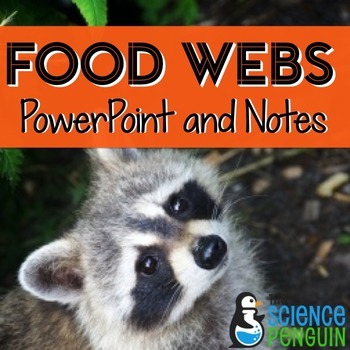 The Science Penguin has awesome resources! 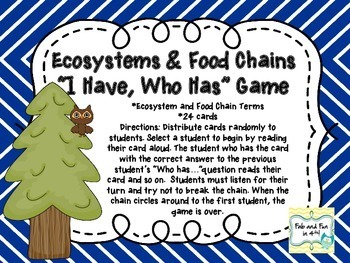 I actually purchased her bundle of science PowerPoints and notes but here is a link to the Food Webs one that I use when teaching Ecosystems. It is interactive and great as a review before the test. 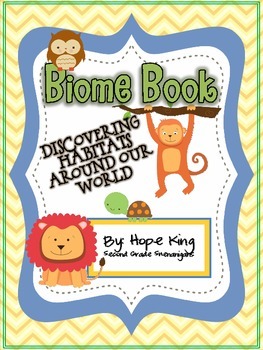 This Biome Book by Hope King was a fun group project that required the students to do some research. I had students work in pairs and pick a Biome to research and create their project. Then each group had to teach the class about their Biome. When everyone was done, I took each project and created a class book. I wish I would have taken a picture of the final project because it turned out great! 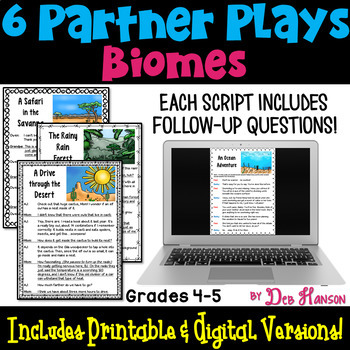 My students love Deb Hanson's partner plays and it just so happens she has a set of Biomes partner plays! To end the unit, I like to use my set of task cards and "I have, who has" game to review for the test. I would love to hear your favorite Ecosystem resources! I received my latest Stitch Fix box just in time for Thanksgiving! I am having a hard time deciding what to keep because I really like it all! Take a look at what I received. Have you been wanting to try Stitch Fix? If so, I would love it if you used my referral link below! Are you a book lover or do you know one?? Last year for a Christmas present, I gave my coworker a subscription to BookCase Club. She loved it! She loves mystery books, so I picked out the Thrill Seeker case for her. Each month she received two hardcover mysteries. I love books too, so I decided to treat myself to a subscription. I also signed up for the Thrill Seeker case and received my box this week. Here are the two books that I received. If this sounds like something you would be interested in or sounds like something you might like to give as a gift to someone, I would love it if you used my referral code! Click on the picture below to head to BookCase Club.